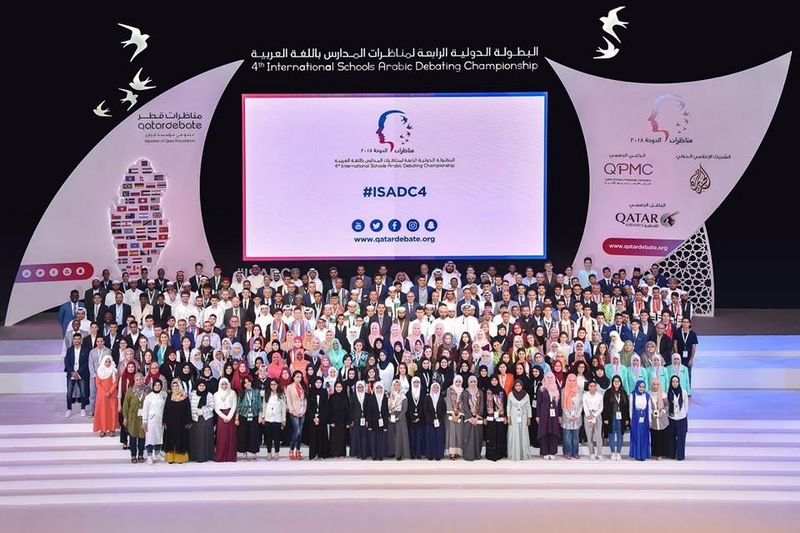 LIS Students participate in the 4th International Schools Arabic Debating Championship in Qatar. On Thursday 5 th April 2018, as part of the literacy, MFL (Modern Foreign Language) and enrichment program, Abdullah Muntasir (yr 11), Aadil Mohammad Sulaiman (yr 10),Raihan Uddin Ahmed (yr 10), and Mus’ab Dayah Farah Ali (yr 9) travelled to Qatar to participate in the 4th International Schools Arabic Debating Championship. The event was held at the Qatar National Convention Centre from 6-11 April 2018 with the participation of 50 Arab and non-Arab countries, where each country had one team consisting of four debaters to represent them. 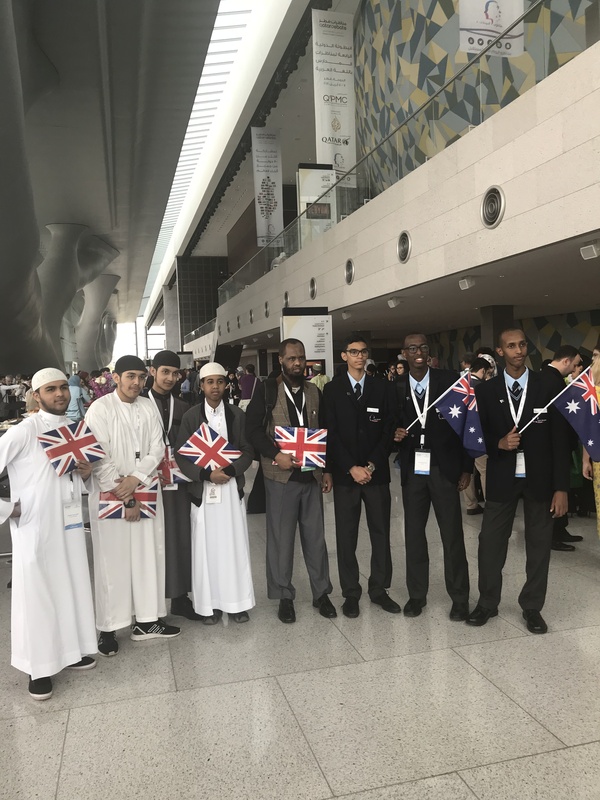 Our students were proudly representing Great Britain, and they were accompanied and supervised by their teacher Molana Qasim Uddin and Ustaz Dayah Farah Ali (father of Mus’ab Dayah). The Qatar Debates championship was structured with 5 initial qualifying rounds, last 16, quarter finals, semi finals and then the final. Teams debated motions such as: This house “will not provide material assistance for undemocratic countries”; “will cancel the right to the veto”; “considers larger countries interfering and their political stance as the main reason for the deterioration of third world countries”. Team UK from LIS faced stiff opposition from Pakistan, Brazil, Paraguay, Maldives, and USA. Our boys managed to knock out USA, and came very close to beating Maldives and Brazil – only to lose by points.